Busy day today. We left the RV in a Walmart parking lot in Chicopee, Massachusetts, and drove the Jeep up to our son’s place in Concord, New Hampshire. We delivered the goods from the house in Minnesota and then took him and his future bride out for dinner at Olive Garden. On the way up we stopped at a roadside market. 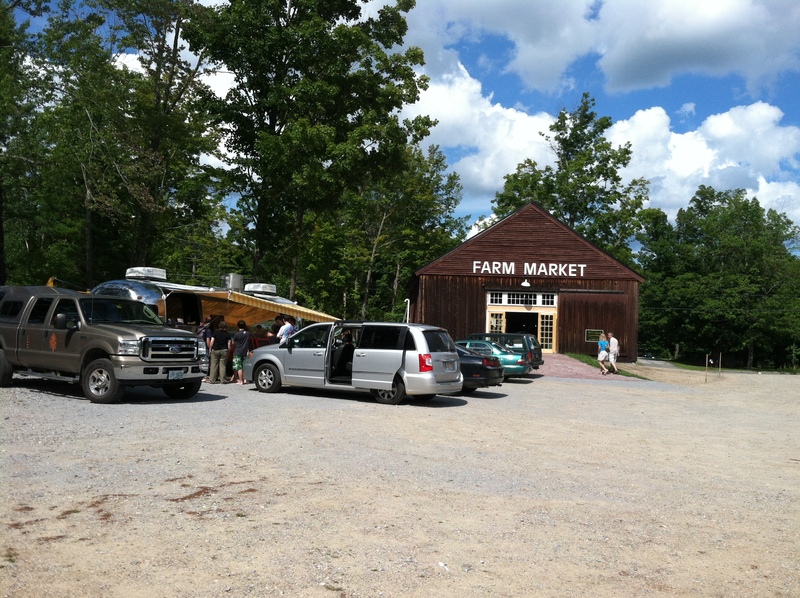 They had fresh picked peaches, blueberries, honey and maple syrup and baked goodies. Outside was an old Airstream turned into an ice cream shop. 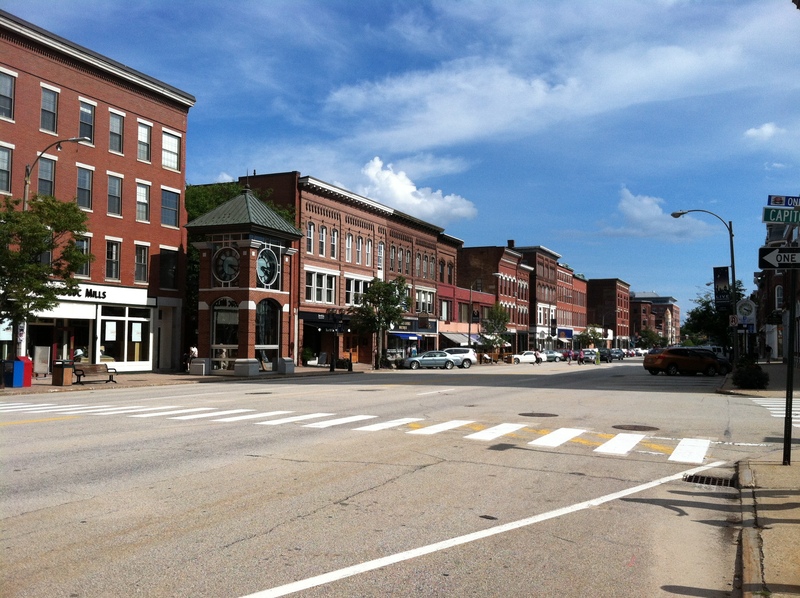 The kids were not off work yet when we got there so we explored Concord a bit while we waited. 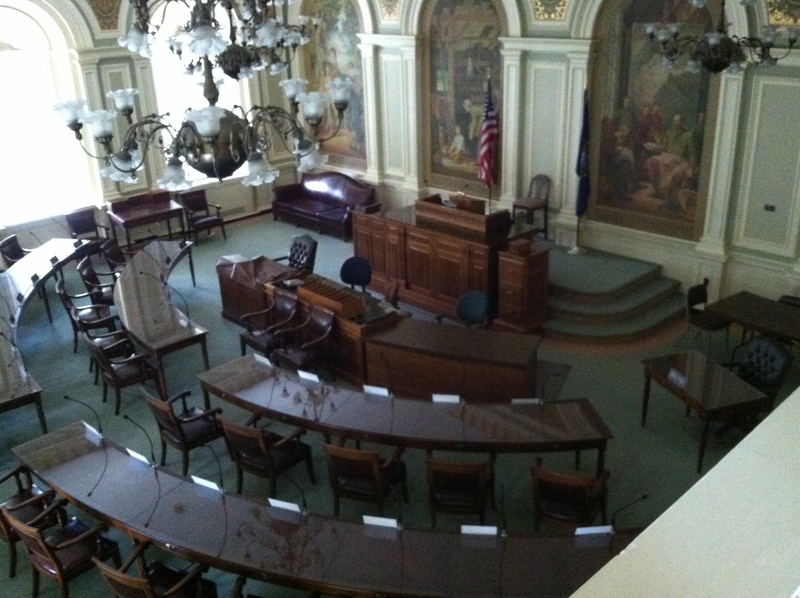 We found the Capital building and went inside. 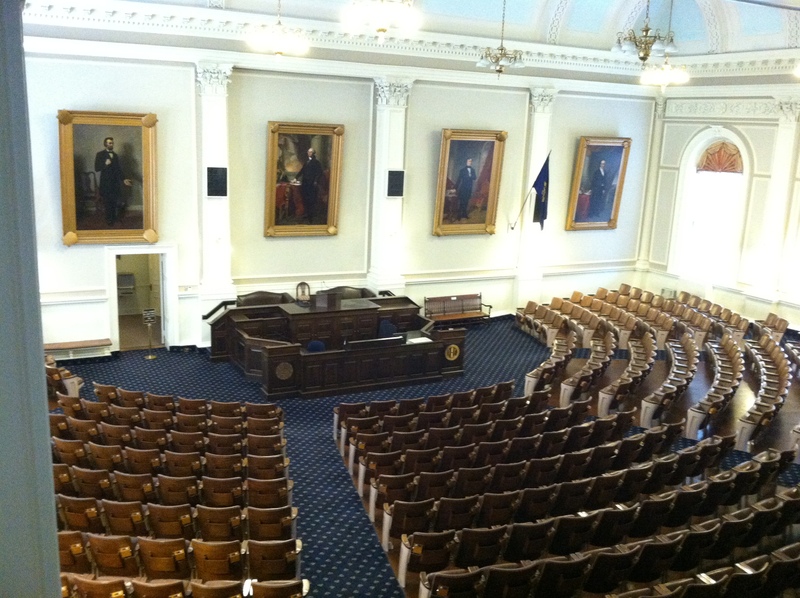 This is the Nation’s oldest state house in which the legislature still occupies its original chambers, 1819. 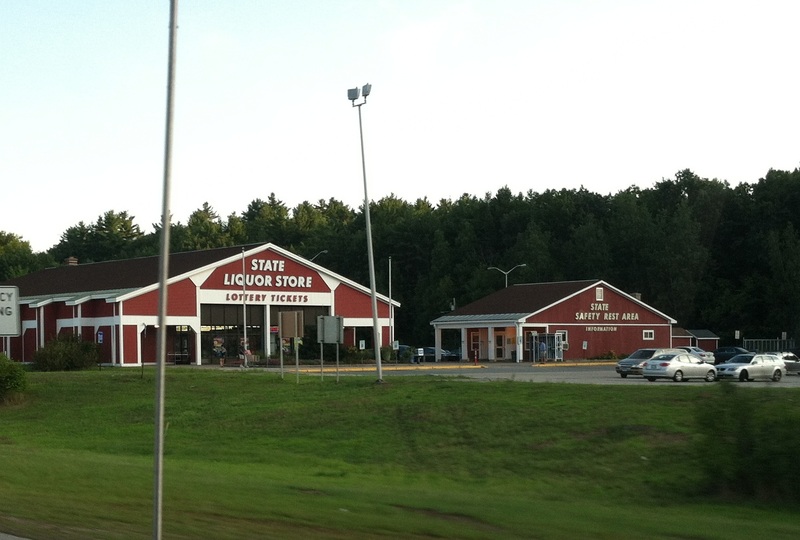 On the way home along Interstate 93 we came across this State Safety Rest Area, Information Center, similar to what you find along any Interstate Highway and were surprised to see that this one also included a Lottery Ticket and State Liquor Store. Hmm, interesting. When we found our rig at Walmart we saw that five other RV’s had appeared while we were gone. It looks like a mini campground here. 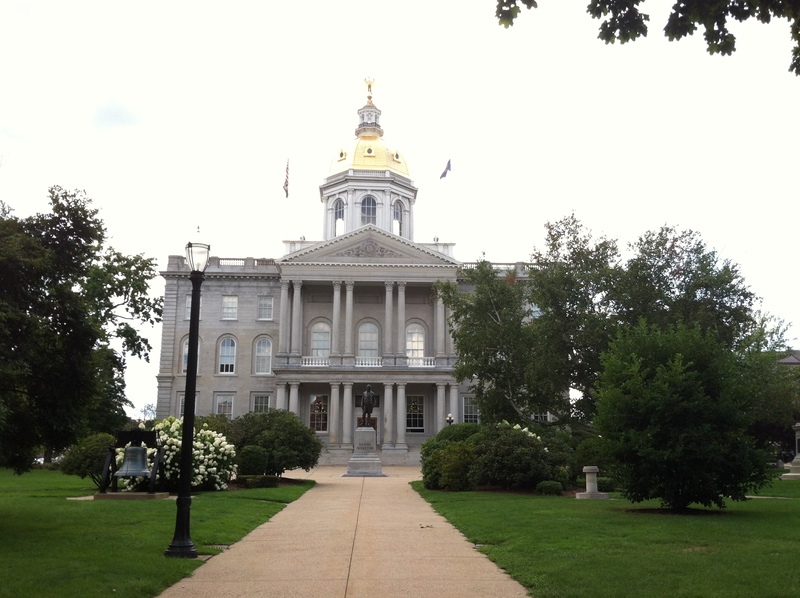 This entry was posted in August, Daily Post, Massachusetts, New Hampshire and tagged Chicopee, Concord, State Capitol. Bookmark the permalink.